This will be a very indoors March Break for me. 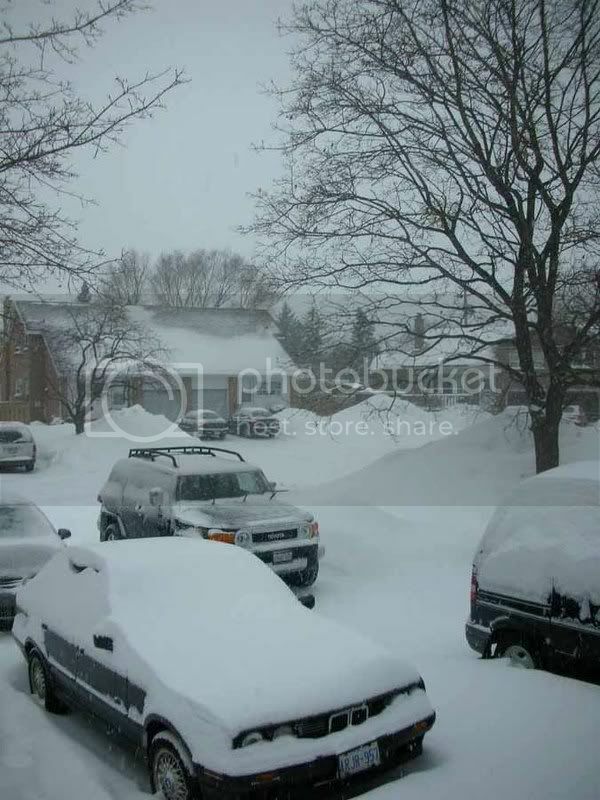 February has been nothing but snow and more snow. This trend continued over the weekend. As a result DH and I walked to the shopping plaza with our backpacks to pick up necessities. Fortunately I have my knitting and plenty of other indoor tasks to occupy me. 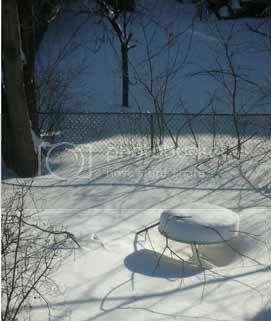 I finally took my amaryllis out of hiding so I should have some blooms to show shortly, despite the blanket of white that is now my garden. 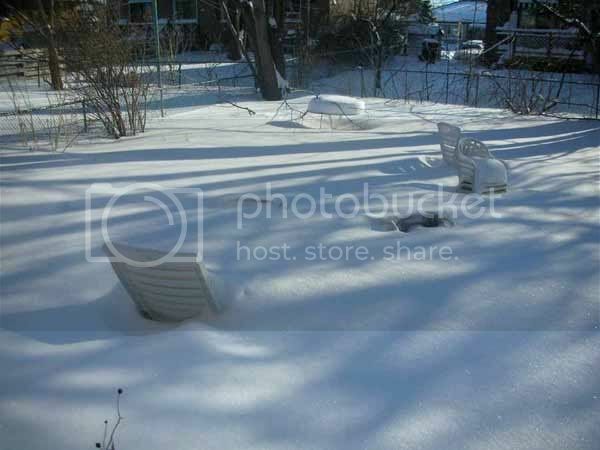 The photos below show my garden furniture peeping out of the snow. I didn't think early enough to bring them in. For monthes the snow has been too deep to do anything about it. So now they are evidence to the depths of accumulated snow. posted by Scheherazaad @ 3/10/2008 05:40:00 p.m.
Ah Ha, I understand now why you laughed at my at my little half inch ice store. Ah Ha Now I understand why you laughed at my little half inch ice STORM. Eeeep! looka all that snoow. The Hammer looked like that too. Couldn't go anywhere last weekend!